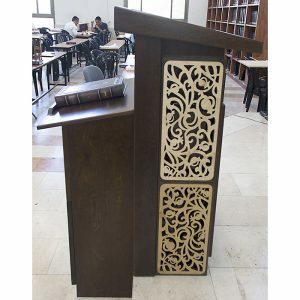 Gabriel built this unique furnishing into the steps of the platform of the Bais Tefilla Synagogue in Bet Shemesh, Israel. 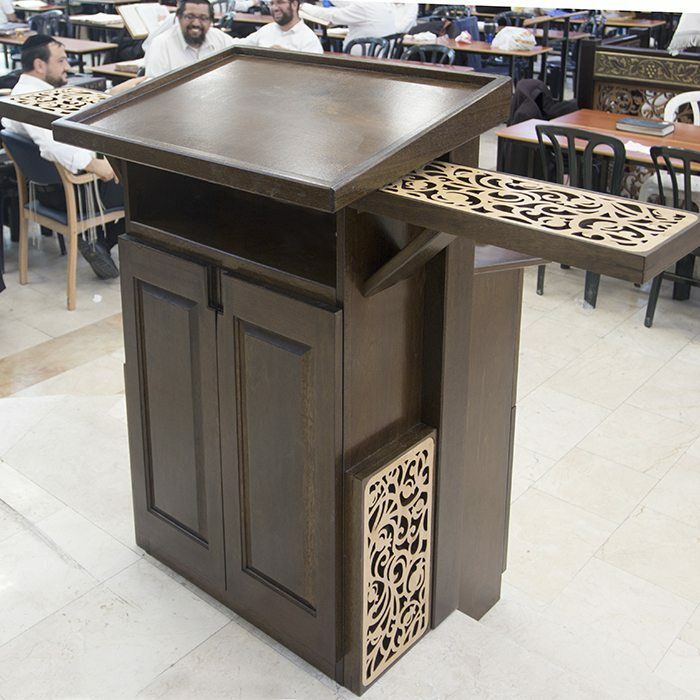 The lectern acts as both an amud tefillah for the chazan, as well as a speaking podium for the rabbi. 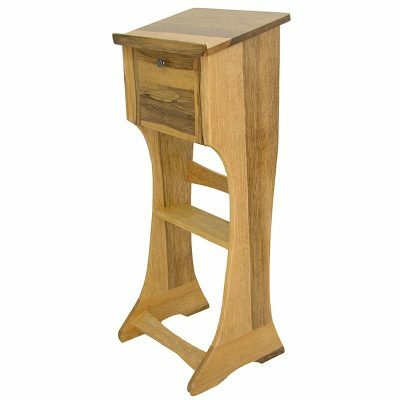 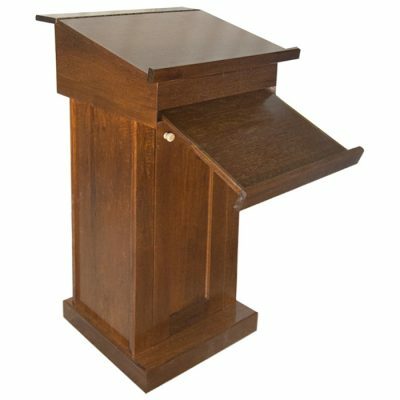 The prayer stand is easily and smoothly adjustable to the height of the reader and is lit from above with LED lights set into the back of the lectern above. The podium is accessed from the stage facing the congregation. Laser cut wood patterns are inset into frames to match the torah bimah. 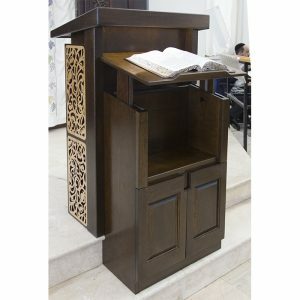 The sides flip up to support additional materials for the rabbi to readily access when speaking. 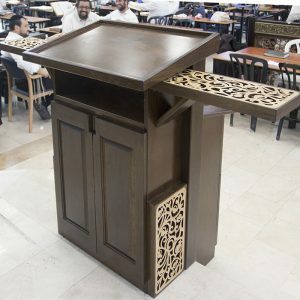 Bass Synagogue Furniture custom designs and builds synagogue furniture to match the surrounding furniture. 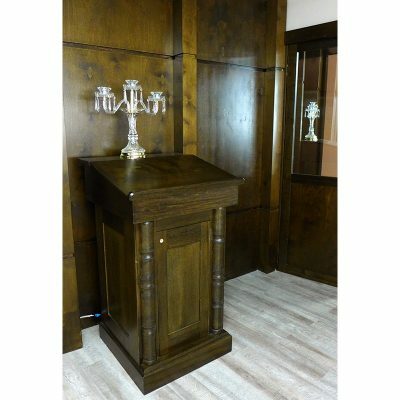 Each piece is carefully designed to suit the needs, style, and budget of our clients. 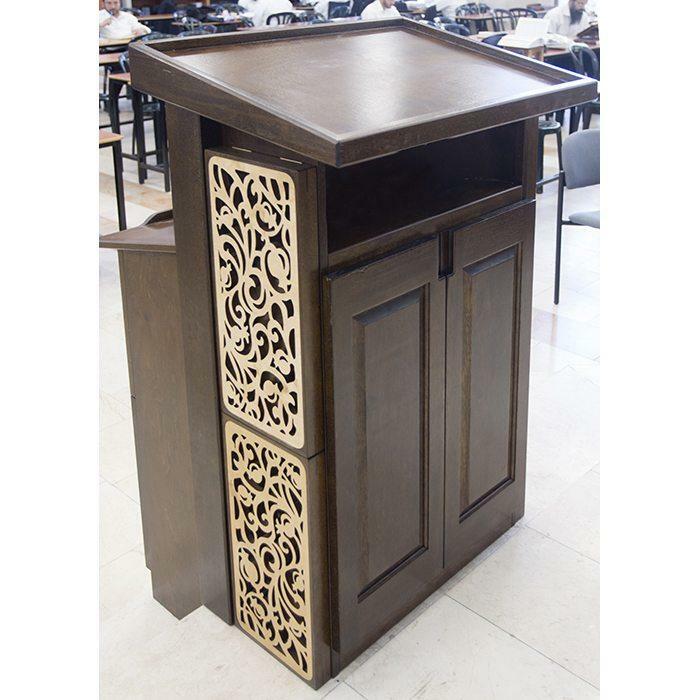 We can design the furniture to be free standing, built-in, or portable. 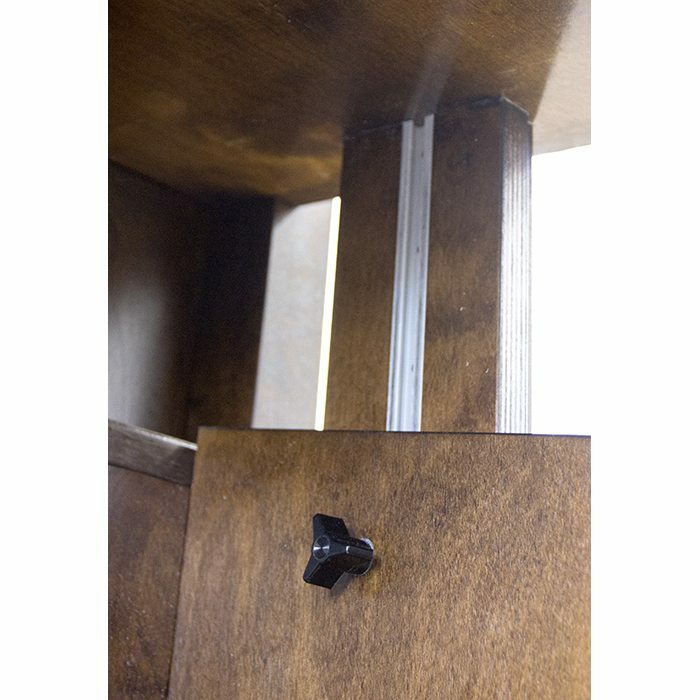 Each project is rendered in three dimensional and mechanical sketches for your approval before the work is produced. 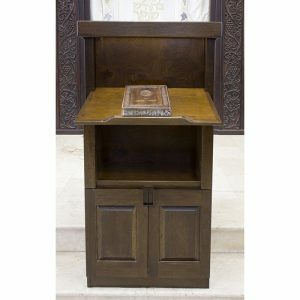 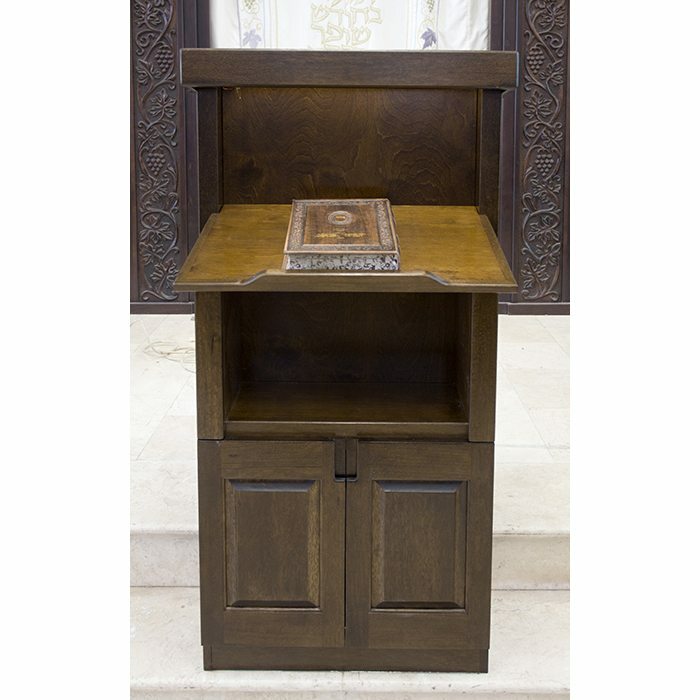 Jewish craftsmen build each piece from the finest materials with an attention to detail. 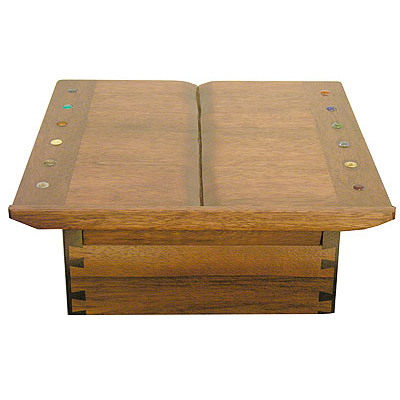 Choose from various wood stains and mechanical options. 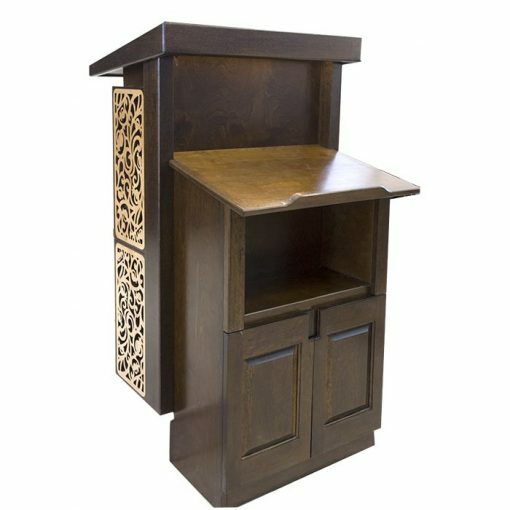 Contact us today for details on how we can solve your custom furniture needs.